Many of us would like to add that extra room on to the house, whether it is a room strictly for relaxation or a more comfortable space that you can enjoy when entertaining. Oh, and let’s not forget the benefit of extra space when hosting those special family events. Today we feature one of our recent remodel/additions, a 4-Season Room. 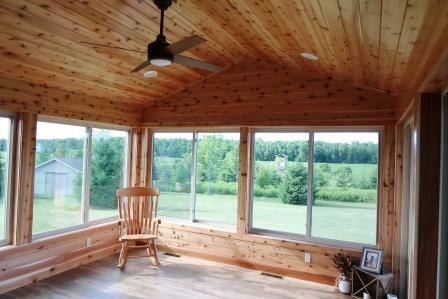 A 4-Season Room is a heated room addition. Surrounded by windows, this room provides family relaxation during beautiful sunny days and quiet evenings. The benefit of this lovely room is that it can be enjoyed 365 days a year. You can just imagine how lovely it is when the leaves begin to turn, when a gentle snow is falling, or when the birds return in Spring. 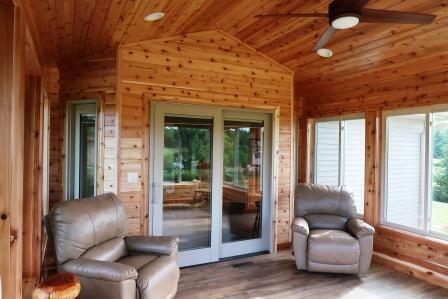 This particular 4-Season “Sunroom” Addition has smooth cedar tongue and groove walls, ceiling, and trim. 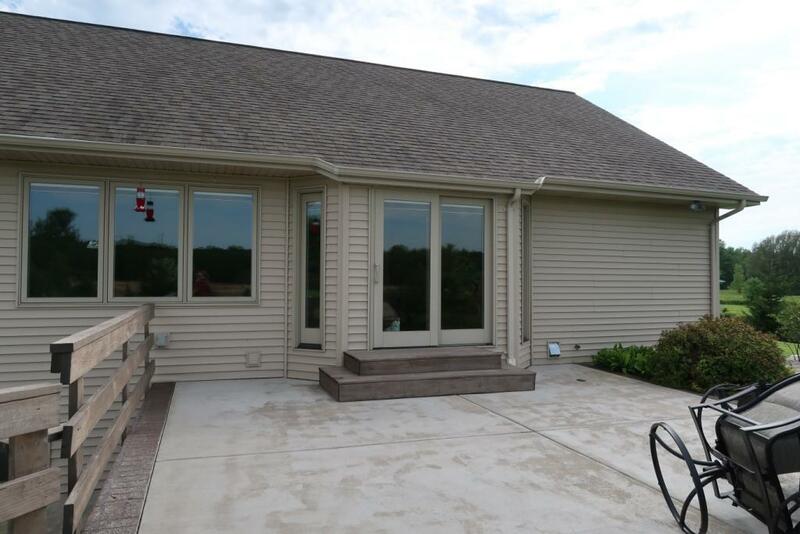 Our in-house finishers used a “clear coat” medium rubbed conversion varnish. This amplified the beauty and character of the cedar. The flooring is a Farmhouse Plank Luxury Vinyl which will provide years of durable performance. 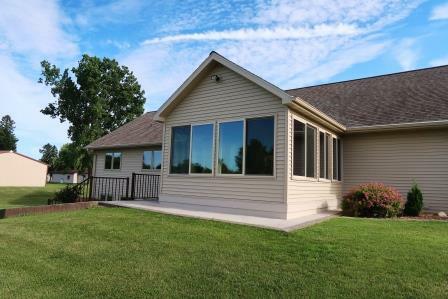 We installed the Pella 350 Series Vinyl windows due to their thermal performance. They boast of a .18 U-value which is important considering the amount of glass found in this design. If you enjoy our attention to detail, call us today so we can design and complete the project of your dreams.